Handsome rooster. Photo: © Leora Worthington. So it turns out there is a lot more than the desire for fresh eggs to consider when deciding to become a chicken owner. Our very own Master Gardener Candice McLaren will be giving a FREE class on chickens entitled “Chix in the City, Hens in the Hood” at two locations: Boulder Creek Library on January 16th and Coastanoa Commons on February 25th! In the meantime, read on for some basic information and plan to attend one of our free classes to find out much, much more! Does your city allow chickens? Better find out! Set up a brooder or home for the chicks. Set up a coop and fence it off. Purchase feed for chicks or chickens. Have a secure storage container for feed. Read as much as you can about chickens. Knowledge is power! Find a veterinarian that treats chickens. A personable Buff Orpington at the 2016 Smart Gardening Fair. From 4-8 weeks the chicks will live in a brooder, most often a big box with high sides, lined with some type of litter. You will need a heat source for the chicks, as well as a water source and a feeder with chick feed. Usually people put their brooders in a laundry room or garage, somewhere protected, well-ventilated, and temperature-controlled. Fencing to prevent unwelcome animals from getting in and to prevent chickens from getting out. Shelter area, such as a coop, which protects the chickens from extreme weather. Nest box – this is where hens lay their eggs. 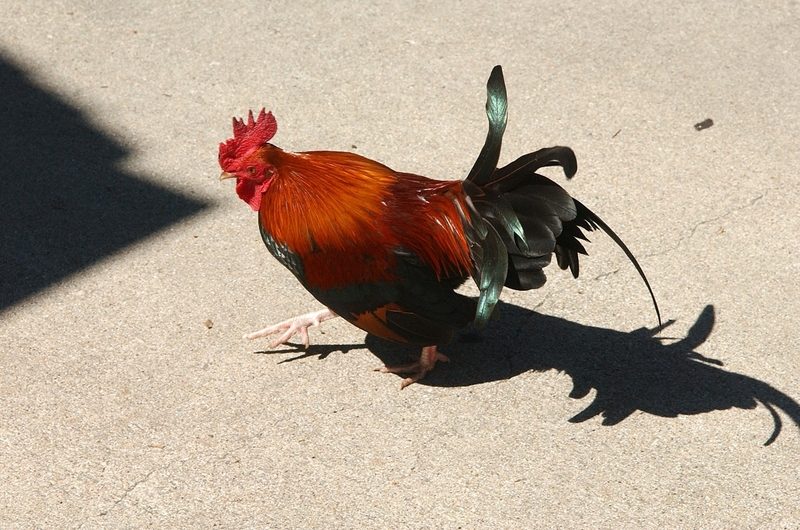 Scratch area – chickens like to peck and scratch with their feet. Perch – Remember, chickens are birds and birds like to perch off the ground. There are many other considerations for keeping happy and healthy chickens. 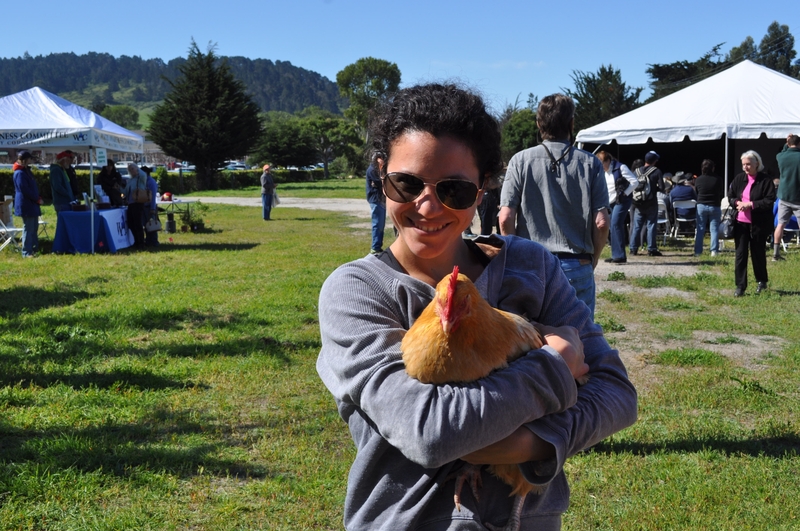 To find out about the particulars of chicken care, different breeds, what kinds of coop maintenance to perform and when, as well as much more, attend one of our FREE classes "Chix in the City, Hens in the Hood" at Boulder Creek Library on January 16th or Coastanoa Commons on February 25th. We hope to see you there! 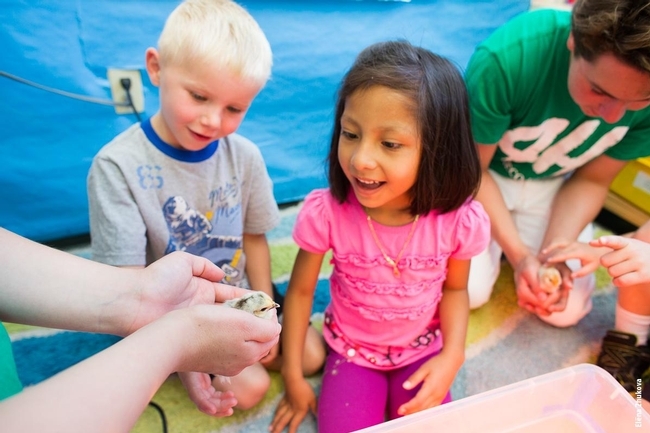 4-H students showing chicks to children. UCCE 2016 Eggsercise Book (see PDF below).